Extra Specifications: New, Manufacturer's 3 year warranty. Manufacturer's individual calibration certificate. Typically in stock, same day shipping. BRL Test is your authorized Com-Power ditributor. 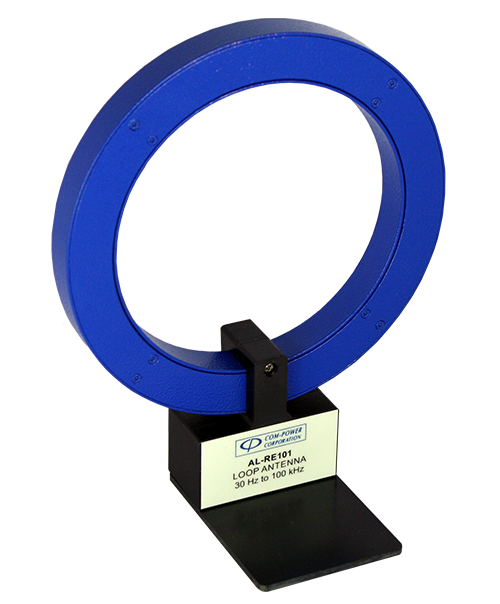 The AL-RE101 is a receiving loop antenna used for Mil-Std 461, RE101 testing to measure the magnetic field intensity generated by the Equipment Under Test (EUT). Its construction consists of a 13.3 cm diameter, 36-turn, electrostatically shielded coil of 7-strand, 41 gauge Litz wire.